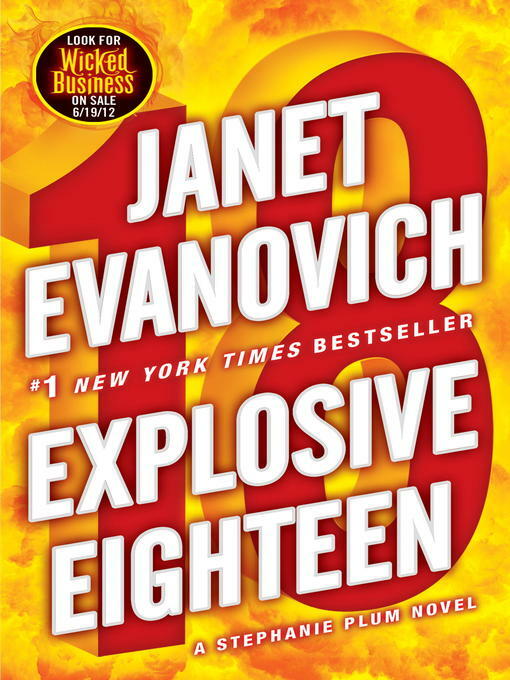 BONUS: This edition contains an excerpt from Janet Evanovich's Wicked Business. Before Stephanie can even step foot off Flight 127 Hawaii to Newark, she's knee deep in trouble. Her dream vacation turned into a nightmare, and she's flying back to New Jersey solo. Worse still, her seatmate never returned to the plane after the L.A. layover. Now he's dead, in a garbage can, waiting for curbside pickup. His killer could be anyone. And a ragtag collection of thugs and psychos, not to mention the FBI, are all looking for a photograph the dead man was supposed to be carrying. Only one other person has seen the missing photo--Stephanie Plum. Now she's the target, and she doesn't intend to end up in a garbage can. With the help of an FBI sketch artist Stephanie re-creates the person in the photo. Unfortunately the first sketch turns out to look like Tom Cruise, and the second sketch like Ashton Kutcher. Until Stephanie can improve her descriptive skills, she'll need to watch her back. Over at the bail bonds agency things are going from bad to worse. The bonds bus serving as Vinnie's temporary HQ goes up in smoke. Stephanie's wheelman, Lula, falls in love with their largest skip yet. Lifetime arch nemesis Joyce Barnhardt moves into Stephanie's apartment. And everyone wants to know what happened in Hawaii?